AE86 different power steering racks? im in the middle of an engine swap, so with the motor out i figured why not swap the looped line PS rack that came with the car for the one i de-powered while the rack is easily accessible? But when I took the looped line PS rack out of my 85 GTS and compared it to the one I de-powered, I noticed they look sorta different. One is more narrow than the other and one has 3 bolts holding on the steering gear where as the other only has 2 bolts. Very strange. I did some searching around and couldn't find a whole lot of info, is there a difference between zenki or kouki power steering racks? Are the SR5 and GTS racks different? or did i just not get AE86 racks from the other member here? was the looped line PS rack in my car not an original corolla rack? anyway, just figured id run it by you guys to see what you think, thanks in advance people! Last edited by GZE_RA21 on Wed Jan 25, 2017 1:36 pm, edited 2 times in total. 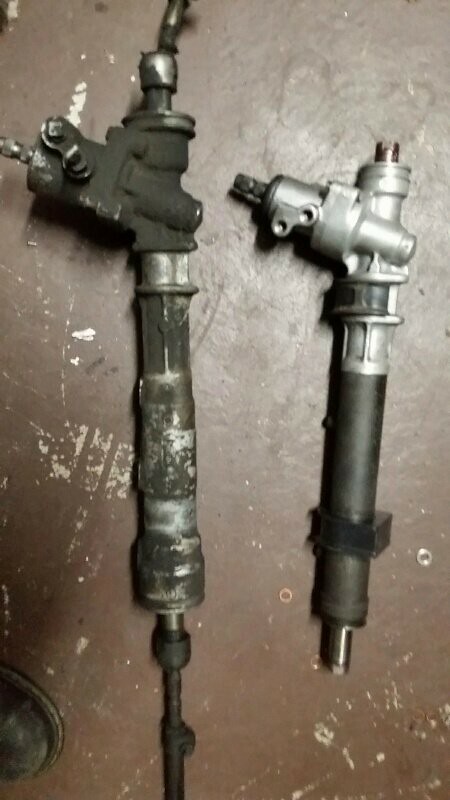 Re: AE86 different power steering racks? Is that the difference between an MR2 and Corolla rack? SgtRauksauff wrote: Is that the difference between an MR2 and Corolla rack? No, sorry i edited the OP for clarification. They are both of the racks that i have side by side. Supposedly they are both AE86 PS racks, im trying to figure out if that's true. Interesting, so there is a zenki and kouki PS rack? Could it be that I have a RHD PS rack? 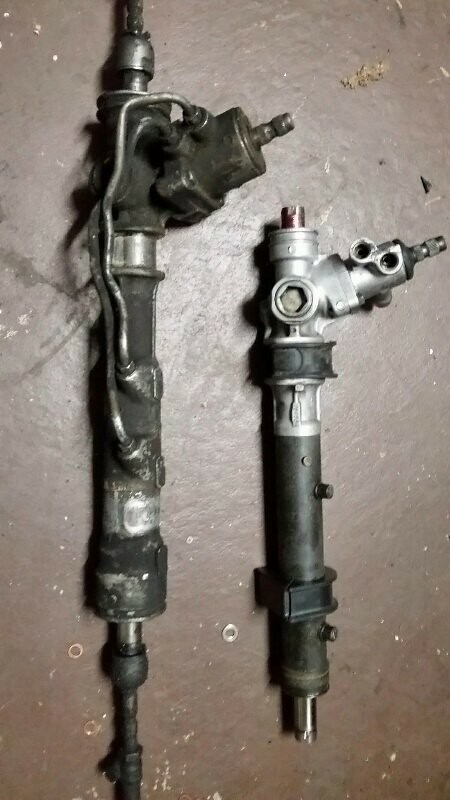 I kept digging into it and apparently this is true for USDM / LHD cars as well, the power steering rack on the left in the picture above is a zenki power sterring rack and the one on the right is a kouki power steering rack. The inner steering shaft of both is the same length and the mounting points are the same distance apart, only difference being the diameter of the rack housing.